Love is not arrogant strikes right at the attitude of our heart and whom we put first. It’s a phrase uttered usually by someone famous (or pseudo-famous) in the midst of a troubling issue (usually an arrest). There are whole blogs with top ten lists of celebrities being recorded making this statement. The insinuation is: If you really knew who I am, you wouldn’t be putting me in this much trouble. It’s this kind of self-centered arrogance which can infect us non-famous people in our very regular relationships. This infection has been going on for a very, very long time. When God completed His creation work, He called it very good. He placed Adam in the Garden of Eden and said he could eat anything there, with one exception: “of the tree of the knowledge of good and evil you shall not eat, for in the day that you eat of it you shall surely die.” Less than a chapter later, Adam and Eve eat the fruit from the tree, and the Sin infection continues to be borne by every single one of us. If they only knew who we were, they would respond differently, they would act differently, and they would give us our due! But are we really as important as we think we are? Do they really owe us in any way? We can echo God’s Words in Exodus when arrogance pricks at us. I am who I am. I am a sinner. I am saved by grace. I like Paul’s honesty in the Galatians 6 passage Matt reflects on above. 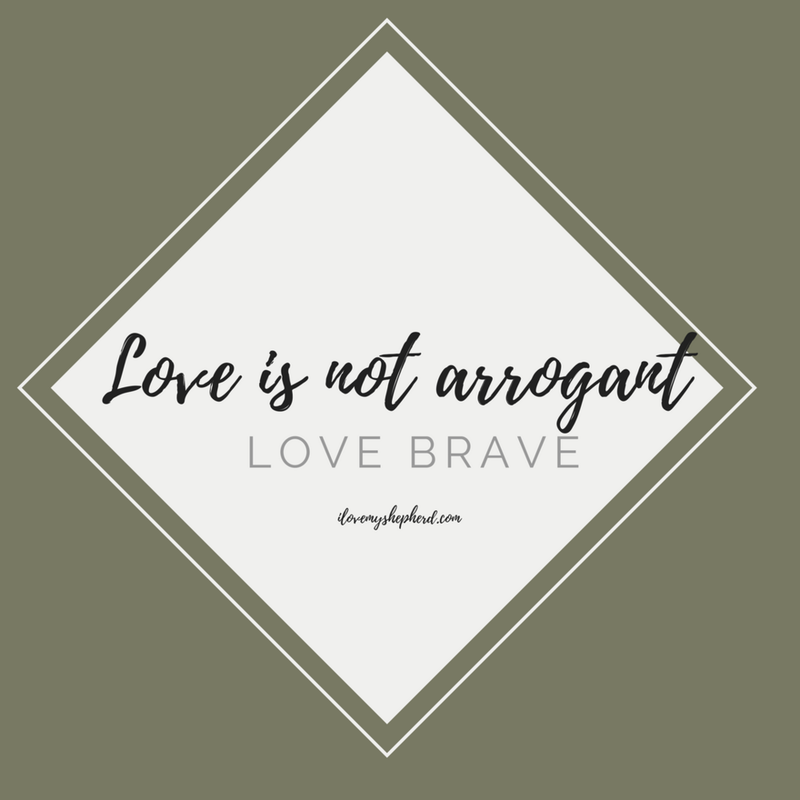 “Love is not arrogant” doesn’t mean we need to degrade ourselves or our lives. It does mean we see ourselves in relationship to Who God is, not God in relationship to who we are and who we want Him to be for us. Nor do we want to be people who see others in relationship as who we want them to be for us, but rather we want to love them for who they are, where they are. Remembering, “I am who I am,” just as God is Who He is- I like that, Matt. I like that.